Biomass Plant: How might it look? The members of Leith Links Community council have not been to impressed with the ‘artists impressions’ provided by Forth Energy of how the proposed Biomass plant might look. 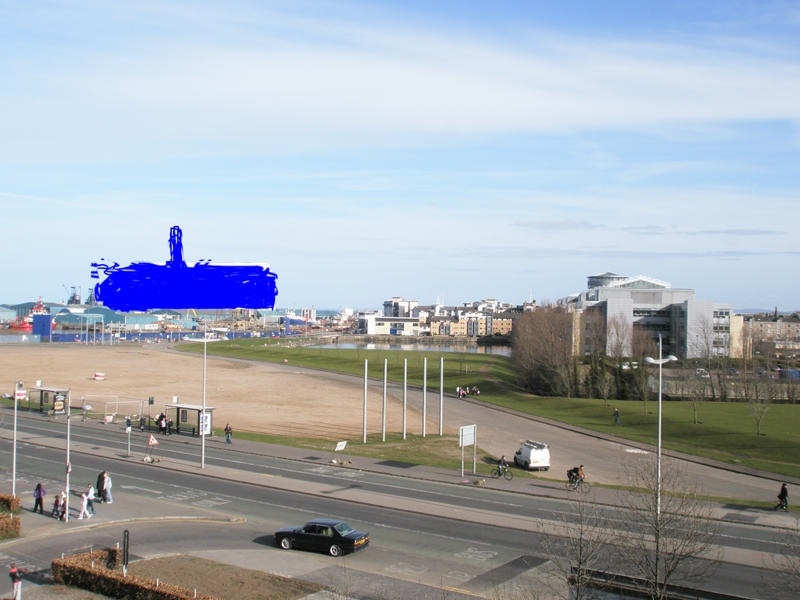 So, using a photo taken from Ocean Terminal, we took the opportunity to try to make our mock up of the plant – to try to give people an indication of the proposed size of the building.